Lisa Saunders teaches fifth graders at Bicentennial Elementary School in Nashua, New Hampshire, and promotes the use of the PLT curriculum. 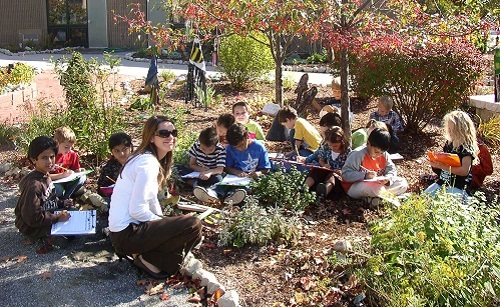 Kyle is the principal at Bicentennial Elementary School in Nashua, New Hampshire, where she helped implement green initiatives and PLT resources in every grade. Ina Ahern teaches chemistry, physics, and environmental science to grades 10-12 at Plymouth Regional High School, Plymouth, New Hampshire. Her career spans 25 years. Katharine Fralick is a professor of education at Plymouth State University, Plymouth, New Hampshire, where she trains all of her undergraduate education students in PLT.